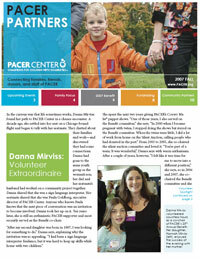 PACER Partners is published by the PACER Development Office. Connecting families, friends, donors, and staff of PACER. Published by the Development Office at PACER.